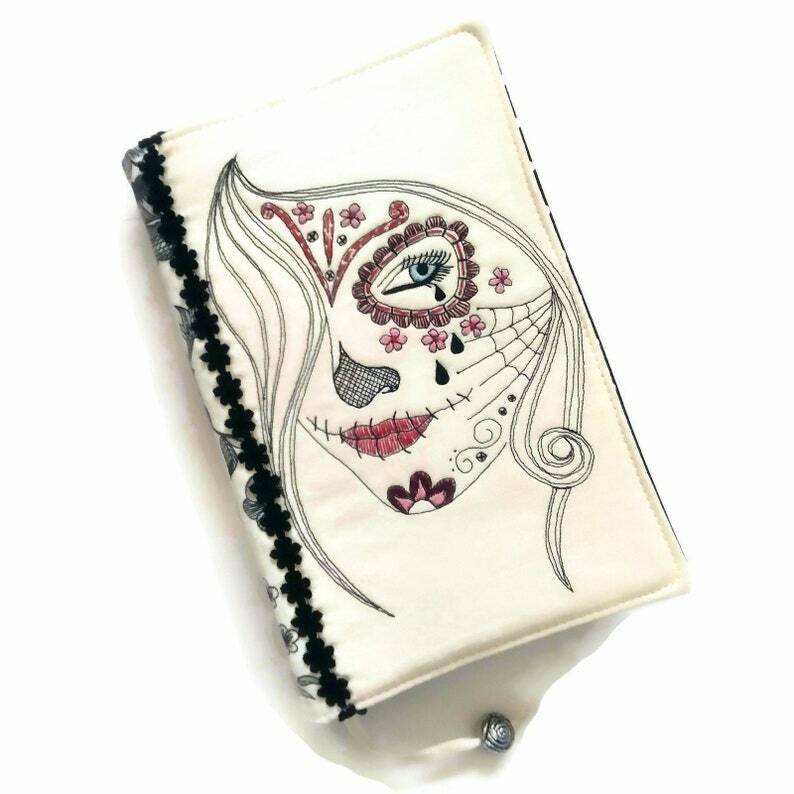 Handmade book cover cover with embroidered sugar skull crying woman face made of high quality fabrics. This diary cover is machine-sewn and hand stitched. All the different colors on woman face are hand embroidered with colorful threads. It’s fully lined with a black cotton fabric with white dots. This cover will protect your favorite books and your privacy while reading in public. It will give a beautiful look to your book and will inspire your readings and it is reusable from book to book! It is a great gift for man/women and all book lovers. It measures 23 cm high and 33 cm wide, which makes it a perfect fit for a 500 page A5 book, journal, diary or something slightly bigger.